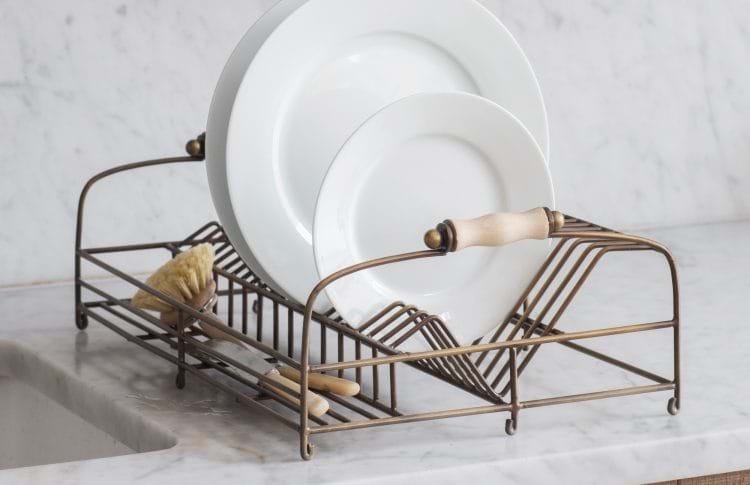 Updating your kitchen accessories is a fun and easy way to breathe new life in to your kitchen. 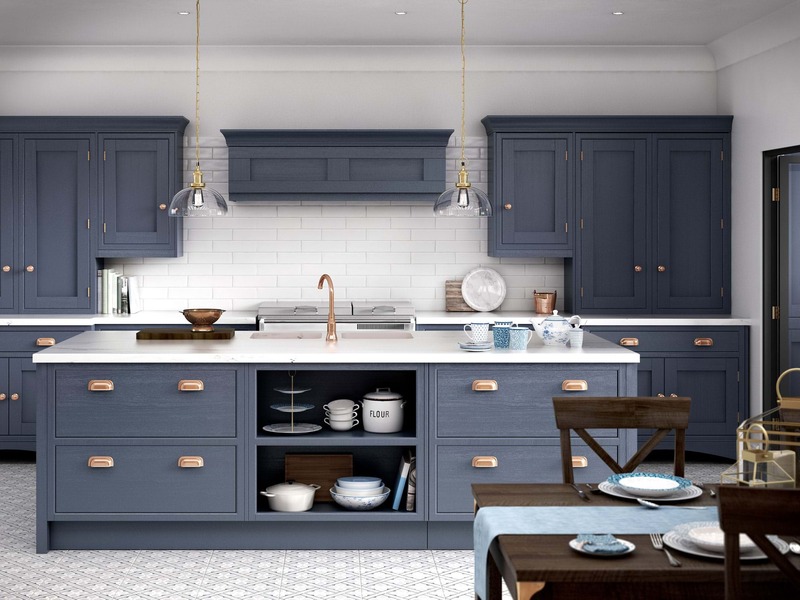 When designing a new kitchen the finishing touches can make all the difference and with a number of stylish and practical kitchen accessories now available at Leekes you’re sure to find something to suit your requirements. Here are our Top 5 finishing touches for your new kitchen. 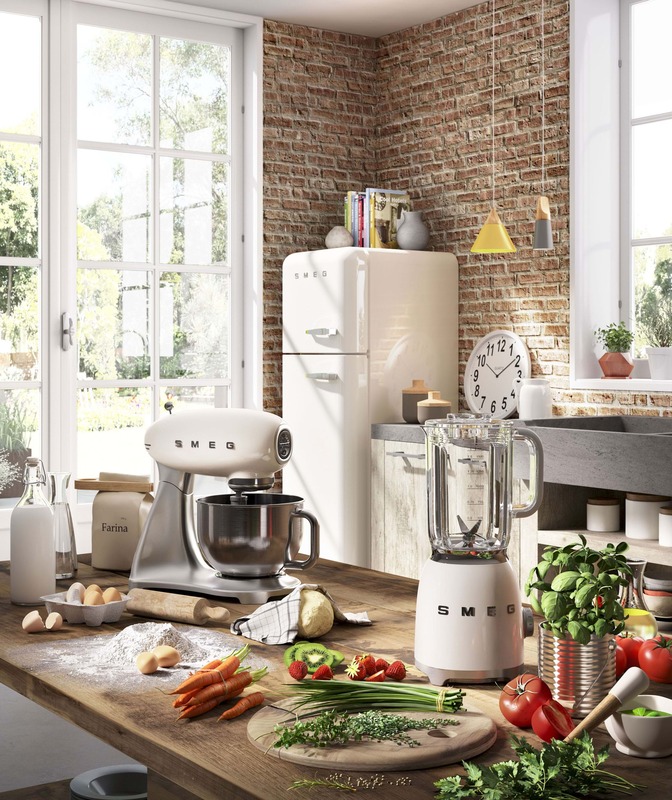 Stylish and practical kitchen accessories are a great way of bringing the latest trends in to your kitchen space without having to completely re-design it. Stainless steel accessories have been a kitchen staple for some time now but as painted kitchens have seen a resurgence over recent years as have more traditionally styled accessories with warmer metallic tones including gold and copper. Bare and exposed metal accessories offer a nice contrast against wooden or painted kitchens and allow for an industrial style. These also look great paired with light marble work surfaces. If you’ve opted for a high gloss kitchen style, stainless steel accessories are timeless. 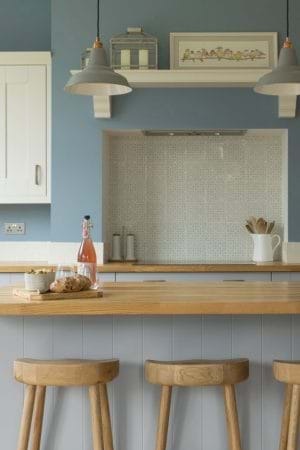 You may also consider adding bright coloured accessories and textiles to make your kitchen pop. 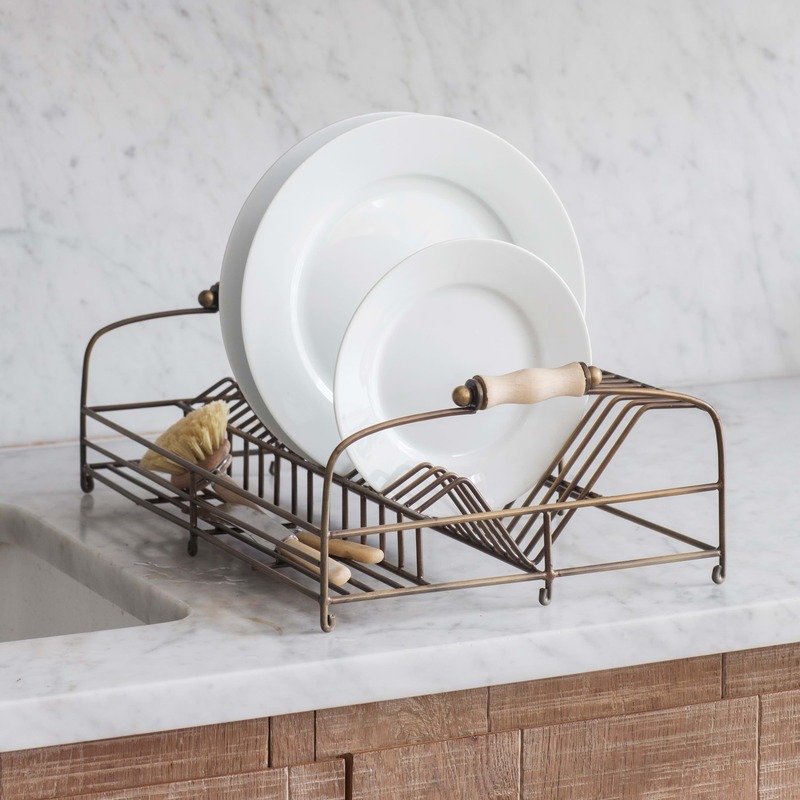 Well chose kitchen accessories can also offer a feature element to your space. 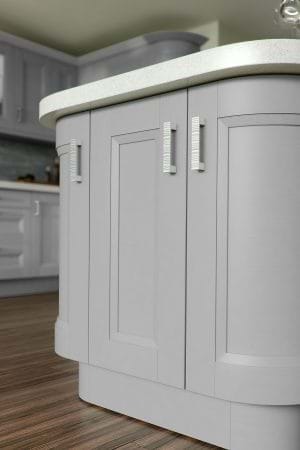 Well placed kitchen blocks with decorative accessories create a display element that can be kept on show all year round. 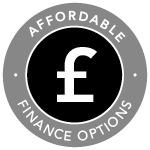 Small kitchen appliances are essential to every kitchen, so when thinking about your new living space think about your new small appliances too. 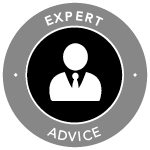 Kettles and toasters are likely to be always on display on your work surface so can be as much of a design feature as other parts of your kitchen. 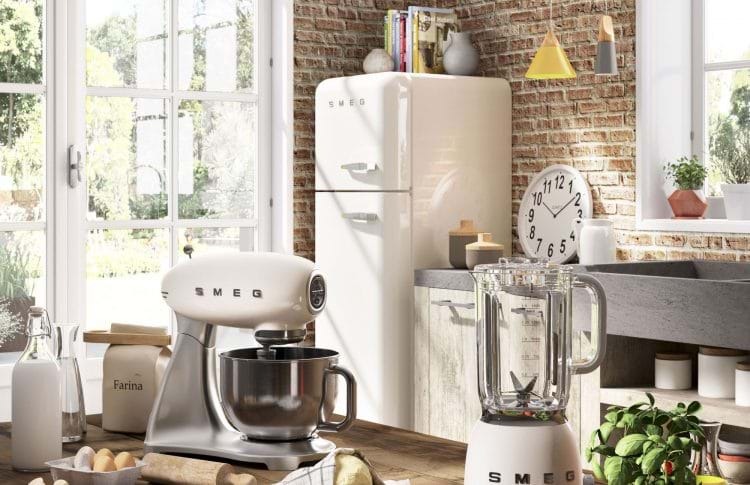 We love the Smeg small kitchen appliance range which is available in up to eight different colours with everything from pastel blue to black and stainless steel. 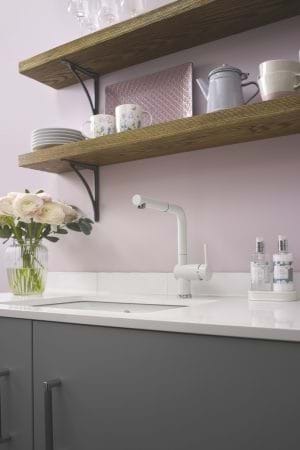 Stylish small appliances such as coffee machines and stand mixers can also provide desirable counter top displays so there is no need to hide away these appliances and take up your much needed cupboard space. When considering your small appliances it is important to think about how much work surface space you require and small kitchen spaces can clutter very quickly. If you are limited for space you may opt for shelving units as opposed to wall cabinets which you can use to display your appliances in all their glory. Open shelving units are a great way to display kitchen items that you may not have space for on your counter top. 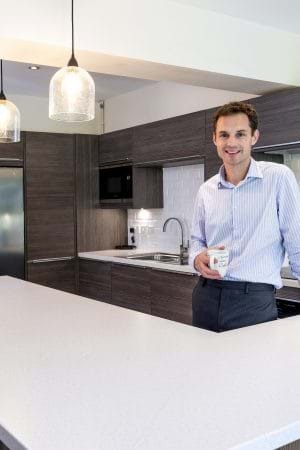 As the kitchen becomes more integrated with the rest of the home with many people now looking at more open plan and sociable kitchen options. 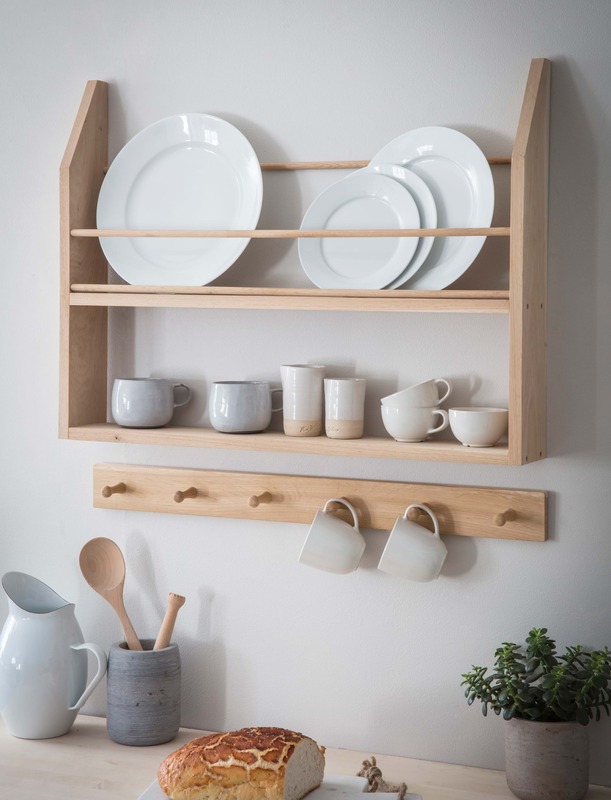 Shelving also allows you to bring some beautiful home accessories in to your kitchen area too. Planters and greenery bring a fresh look to your kitchen and these look great paired with raw metal or ceramic and marble. The contrasting textures add interest to otherwise bare wall space. Many kitchen styles also have open shelving units that compliment your kitchen cabinet doors so you can keep your cabinet theme running even if you have opted for no walled cabinets. 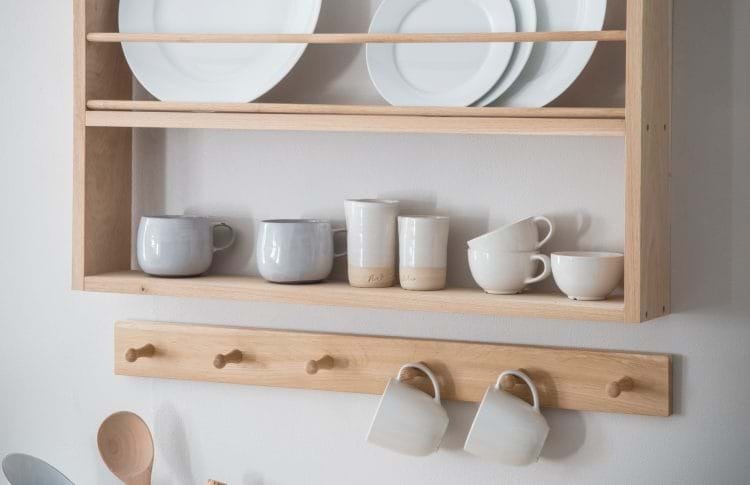 It is important to remember that cleverly placed shelving in hidden corners and nooks and crannies can also provide much needed additional storage space, this is particular handy around a cooking area where dry ingredients can be stored. Lighting is essential for adding ambience to your space and your kitchen is no longer an exception. Layering your lighting options allows you to dictate the mood of the room and alter the amount of light depending on the activity. Spot lights in the ceiling are very functional and a great options for bringing in a lot of light which is ideal for food preparation and cooking. Spot lights under walled cabinets or shelving are also great if you just want to highlight areas within your kitchen. Statement lights either over an islands or a dining table are very effective, ensuring that these lights are on a separate switch to your ceiling spot lights means that you are able to switch these on when hosting dinner parties or if you are only wanting to show off your statement lighting pieces. Using filament style bulbs creates warmth in a traditional or industrial style kitchen, or for ultra modern looks go with bright white LED’s. 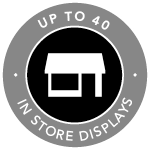 We have a wide range of lighting options in store so be sure to ask a member of staff for more details. 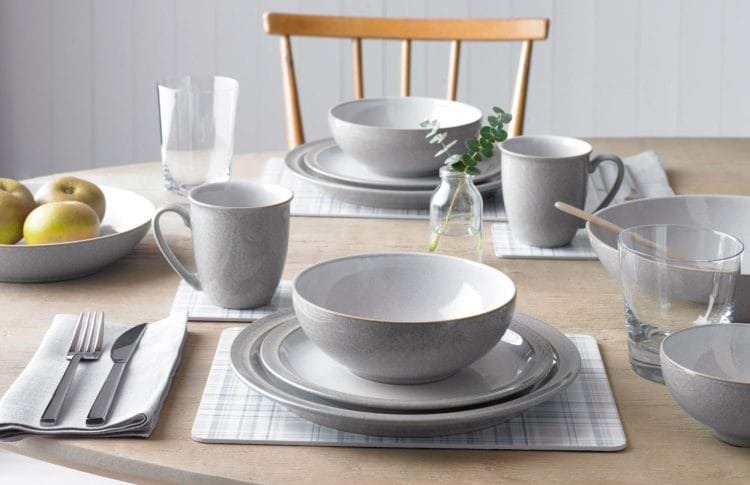 There’s nothing more satisfying than creating a beautiful meal in your new kitchen and serving it on some stylish and in keeping tableware. Which is why investing in new tableware and glassware is always a nice treat after you’ve finished your dream kitchen project. 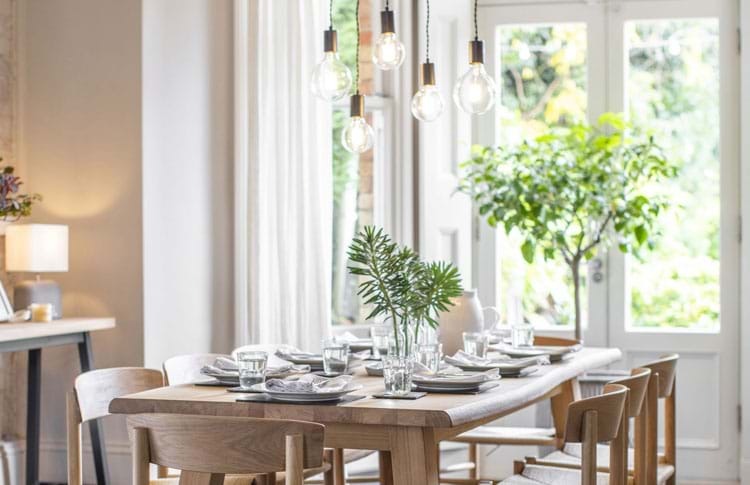 If you have opted for having glass cabinets or open shelving, new tableware or glassware is a must as you’ll want to show it off. Similarly if you have an open plan space where you have a set table at all times it can add a decorative touch to your space. 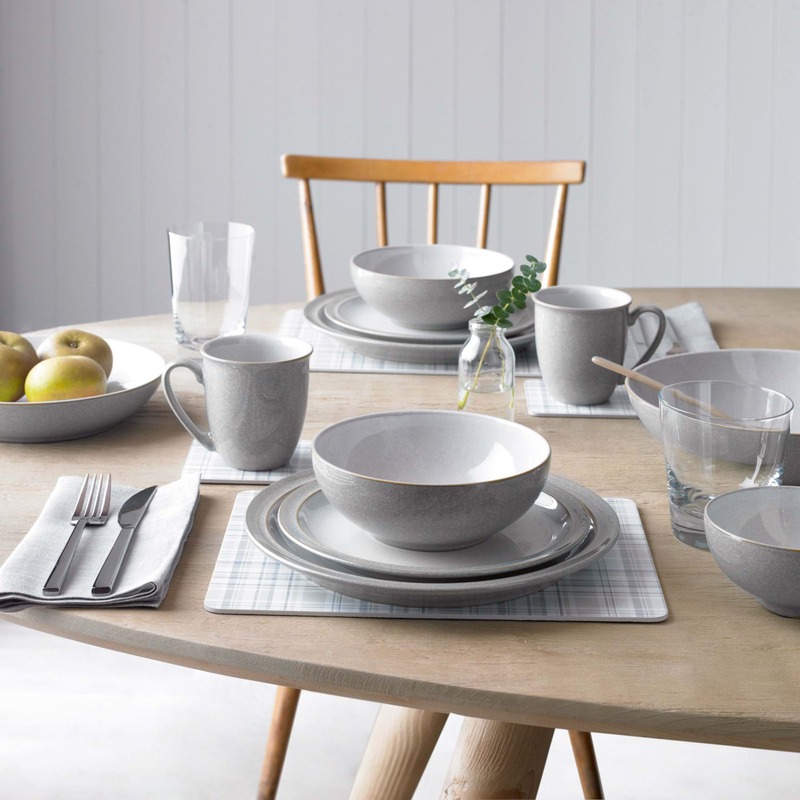 At Leekes you will find tableware in various materials available including; fine bone china for elegant dining, porcelain for everyday dining and stoneware if you’re wanting something more traditional and robust. 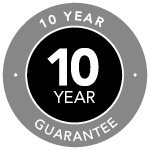 It is important to consider whether your new tableware and glassware is dishwasher and microwave safe depending on your usage. You will usually find this at the bottom of the pieces so be sure to check.